Wright, one of the most successful team managers in both World and British Superbike history, will join Martin Halsall’s Bennetts British Superbike team from Knockhill in July. The appointment follows several weeks of talks between Wright and Halsall, who were introduced by mutual friend Neil Hodgson, and had actually recommended Wright to Halsall several years ago. 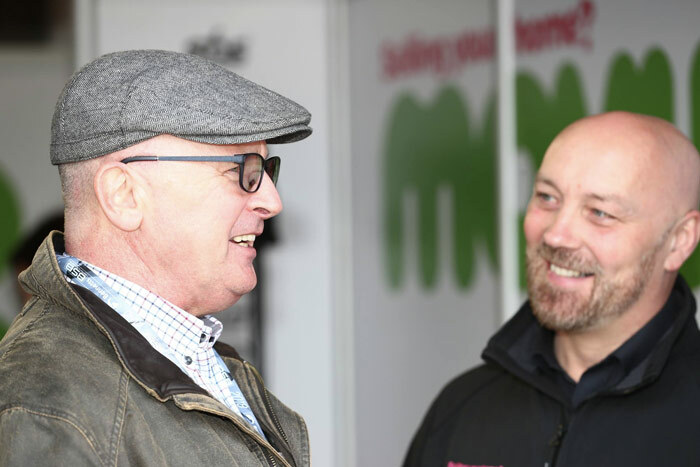 "The first year I started the Halsall Racing Team in BSB I was chatting with my friend Neil Hodgson, and he actually said to me ‘you need to recruit Colin Wright’ but it took me nearly six years to make that call," said the Bolton-based entrepreneur. "But here we are and I can honestly say I’m extremely excited to have Colin with me. Having spent a number of days with him, watching him and chatting with him and getting to know ‘The Colin Wright’, I understand why he’s had the huge success he has, because he has all the ingredients as a leader. "I am as serious about success today as I was when I first started the Halsall Racing Team, but I am more excited now more than ever before, now that we will soon have Colin joining us." Wright made a name for himself as team manager of the successful GSE Racing squad, which powered the likes of Troy Bayliss, Neil Hodgson, Gregorio Lavilla, Shane Byrne and Leon Camier to championship glory, and his riders have chalked up more than 100 race wins over the years in both BSB and WSBK. Having won with Kawasaki, Ducati and Yamaha machinery in the past, he is now looking forward to a new challenge. "I am very excited to be coming back to BSB, particularly now I’ve met Martin," he said. "It was all thanks to Neil Hodgson who introduced us, and to be honest I wish we’d done it sooner as I instantly gelled with Martin. "He’s already got the infrastructure in place but I believe together we can really work hard and push boundaries with the Suzuki. For me, it’s a new challenge but I relish a challenge, and I now want to add Suzuki to the list of manufacturers I’ve won with. "I’m delighted that Martin has given me the opportunity to return to the Bennetts British Superbike Championship. I am confident that I can fulfil what Martin is looking for, and I can’t wait to get back into the paddock and start building what we believe can be a winning team." The Movuno.com Halsall Racing Suzuki team is this year running Tommy Bridewell in the Bennetts British Superbike Championship along with Tom Ward in the Pirelli National Superstock Championship.